Yes, on Friday, I was looking at canning supplies while out doing some shopping. I love small town finds! 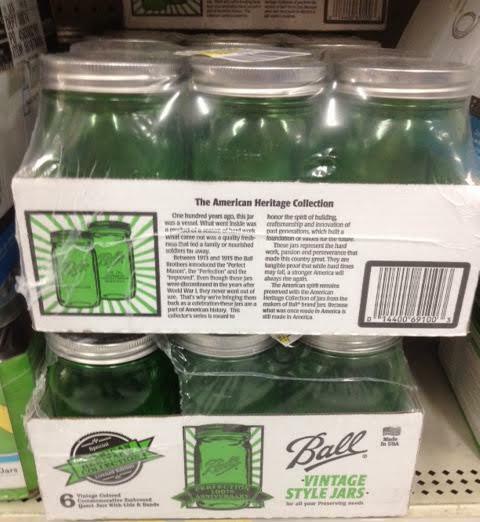 I found these green tinted “vintage” canning jars and picked up two dozen of them.